Earthquake? Nope, megaquake is the right word. 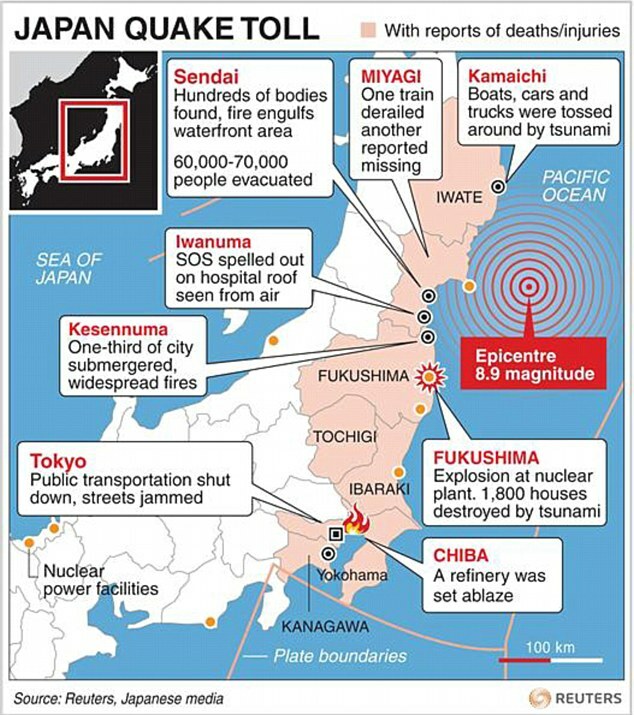 Struck Japan at 8.9 on the Richter scale, it was a massive earthquake. If it was Malaysia, the country won't survive people! The megaquake was so massive as it shifted the main island of Japan, more than 2 meters to the east. 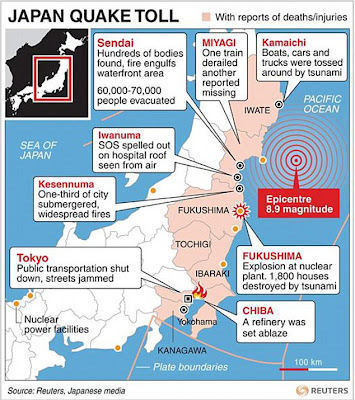 Like the one occured in South East Asia, the megaquake that hit Japan triggered Tsunami. And the sad part is, it swept away a lot of people. 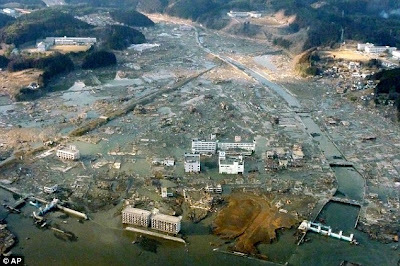 For an intance, the picture shown the impact of the Tsunami that hit the port city of Minamisanriku, 10 000 of people were swept away. It is believed that if earthquake is going to happen, animals would act strangely. There were a lot of incidents happened regarding animals before the megaquake in 2004 happened. I still remember the elephants in Thailand went crazy and ran up to the hilly area just before the megaquake happen and masses of dead fishes were found on the beaches shores. This phenomenon happened in Mexico. To be exact it happened in Acapulco's beaches shores. 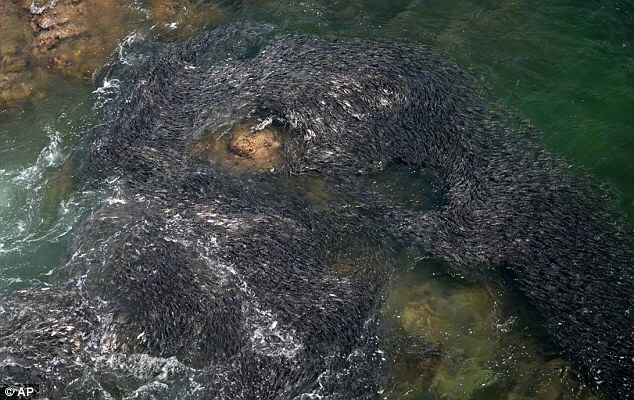 The strange thing happened as masses of fishes packed together. 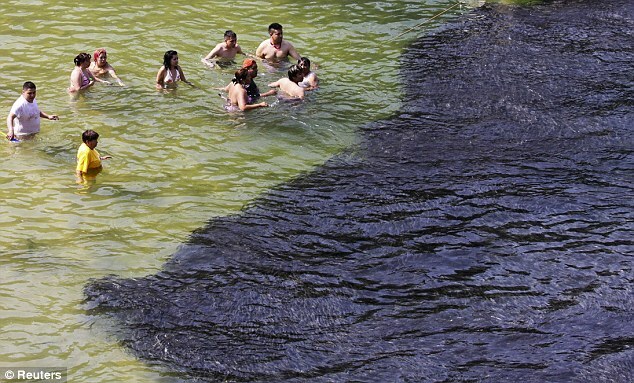 It looks like the oil spilled into the sea huh? This is insane. 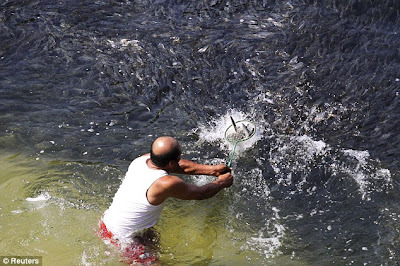 People could easily catched the fishes. Guys, it was one week ago, I've read the news in Utusan Malaysia about a strange incident happened in Penang. 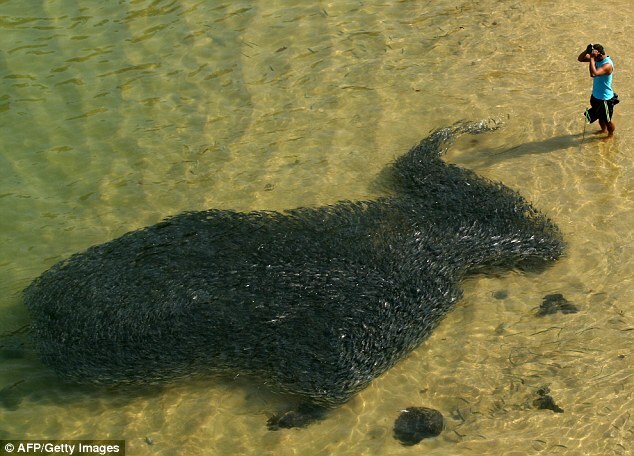 A lot of fishes were found dead on the seashore. At that time, the villagers thought that there would be an earthquake which would happened anytime soon. But, the strange phenomenon were neglected. Until recently, true as it was said and believed. There is a connection between the strange phenomenon of animals with a disaster like earthquake and Tsunami. Last night, I've learnt that the earthquake happened in Indonesia. To all the readers in the whole world, whoever you are, wherever you are. If you ever encounter this phenomenon, please please please do not neglect the nature's signs of disaster. Do take care of yourself, take proper actions and please remind others about the possibilities of the incoming disasters. To the Japanese people, be strong. We'll pray for your safety.